It’s the airline mantra – just get bums in those seats and at least we are not flying at a loss. But how do the bums feel about this? Are they comfortable, squashed, numb, fidgety? It’s all about the seats and that thing they call “pitch”. 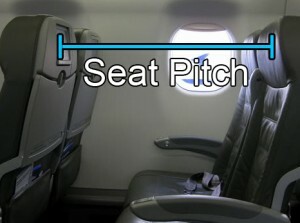 (Distance between the back end of a seat and the front end of the seat behind it. Also called leg room. – courtesy of The Business Dictionary). So it is no surprise that when airlines “cram ’em in” people get cranky, flight attendants get frustrated and bums get just plain fed up. Would it really make such a difference in the bottom line or the profit margin to airlines if they gave just a couple of inches more leg room? More airlines are offering Economy Premium or Economy Plus options which are available for an additional cost. And you know what? People are prepared to pay. Well not all people. On a recent KLM flight I had paid the additional fee to upgrade to Premium Economy – $200 per segment for a couple of inches but worth it on a long flight. After take off some cheeky fellow sauntered up to the Premium Economy area and made himself comfortable in one of the unoccupied seats. I could feel every paying passenger around me literally bristle at this audacity. But never fear – the Dutch were on it! “No thanks. I have never had such bad service in my life. 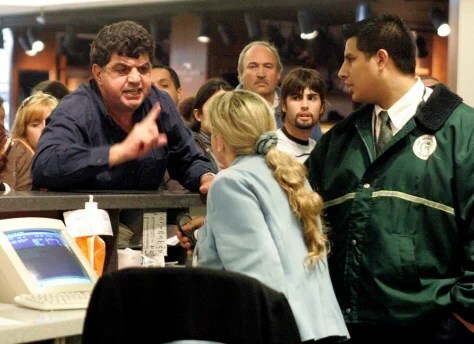 I will NEVER fly KLM again.” (Good riddance).